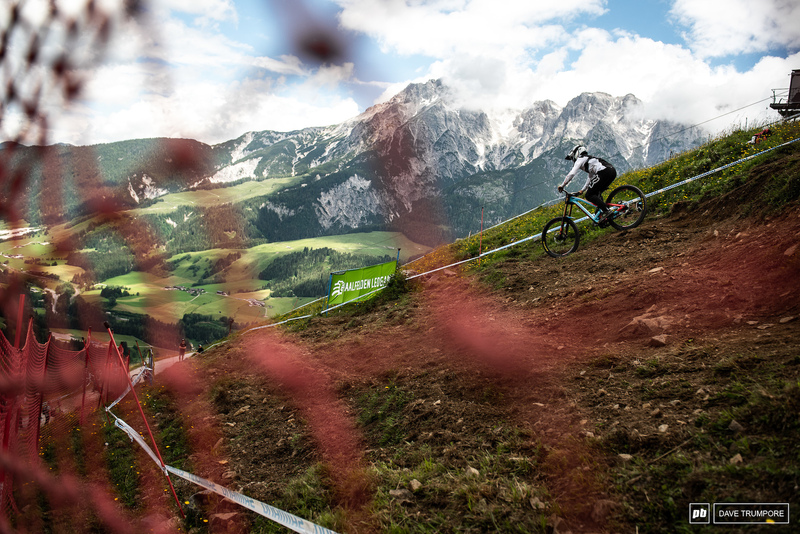 If there is one thing that Leogang can deliver year in and year out, it's close and incredible racing. 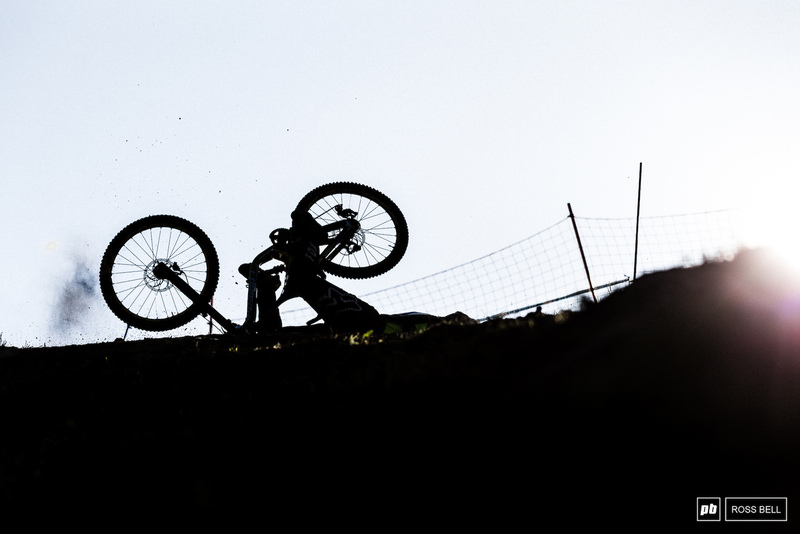 Tight times force riders to push the limits from top to bottom on a track that often rewards riding the ragged edge more than smooth and steady. But, that fine line is easy to cross and no one found that out more than Tahnee Seagrave and Luca Shaw today. Both going off track from pushing just that little bit too hard and paying the price. While Luca went cartwheeling into the trees, Tahnee's mistake was a bit more subtle, as she would make it to the bottom with the 3rd fastest time only to be disqualified ten minutes later for not re-entering the track in the same spot she left it. Rules are rules, but sometimes they can make for a difficult pill to swallow. 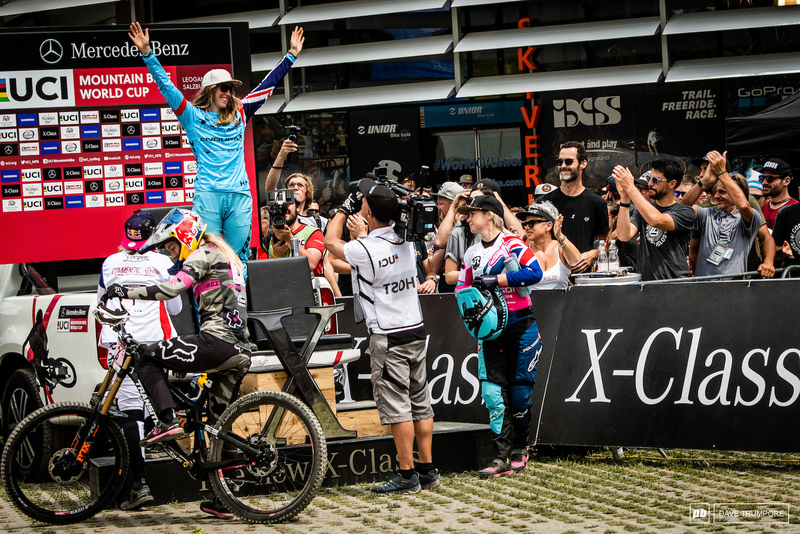 During the women's race, Myriam Nicole also made a small mistake while chasing down the early fast time of Rachel Atherton, and while she came close, today was not going to be her day. Just the smallest of mistakes and in the end, a loss by the smallest of margins - just over half a second. 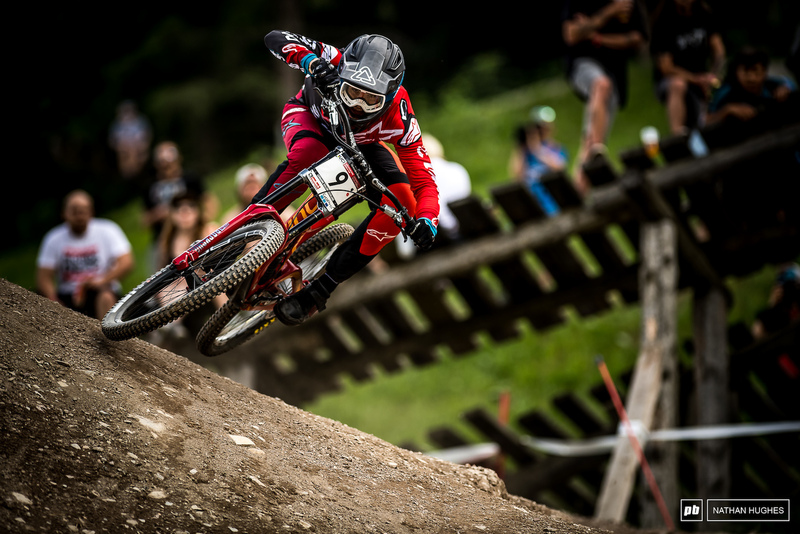 Keeping her cool, however, from top to bottom was Rachel Atherton, who after suffering a cruel twist of fate just one week ago, was looking for redemption in Leogang. With that bitter defeat still fresh in her mind, and more than a year since her last World Cup win, you can bet today's victory was the sweetest form of revenge. The big question now is whether or not she can get back on the winning streak of 2015 and 2016 that saw her absolutely dominate the women's field? If Myriam Nicole has any say in the matter, you can be sure that there will be a battle over points between these two all the way to the end of the season. 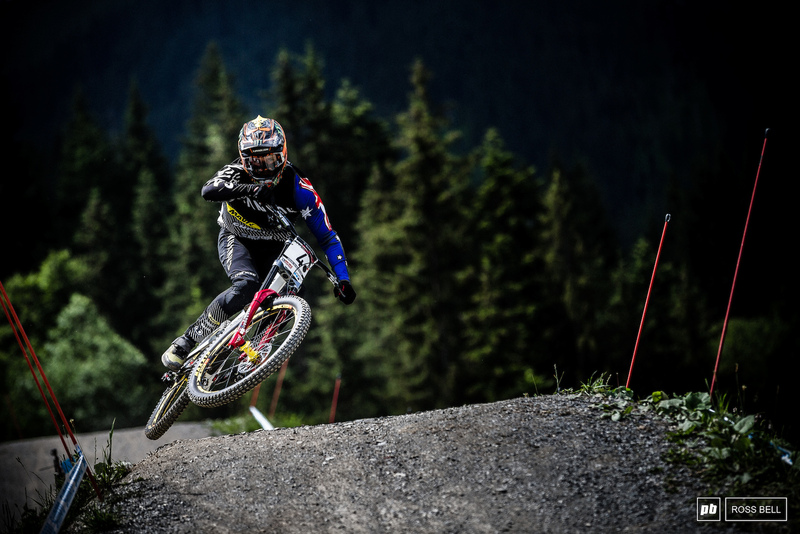 For the Juniors, it was Vali Holl once again dominating to take her third win in three rounds amongst the Women. 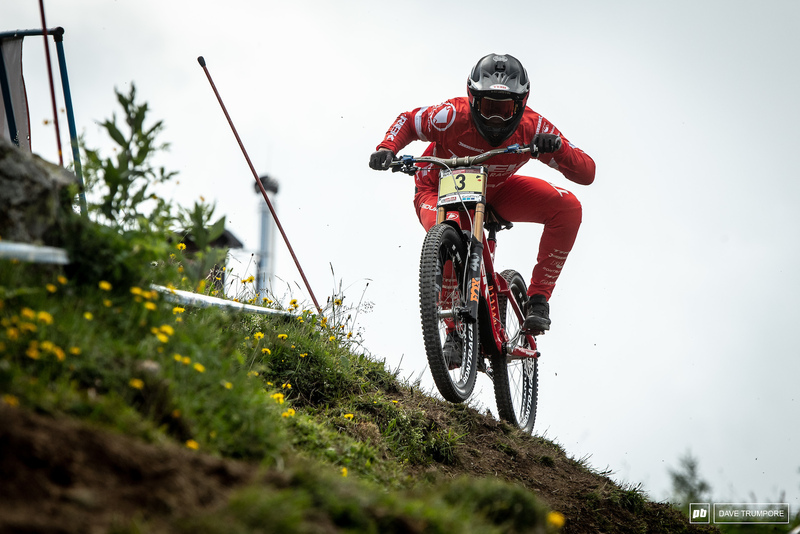 And in the junior men, we saw out first repeat winner in Kye A'hwrn, who backed up his Fort William win with another in Leogang and now leaves Austria as the series leader. 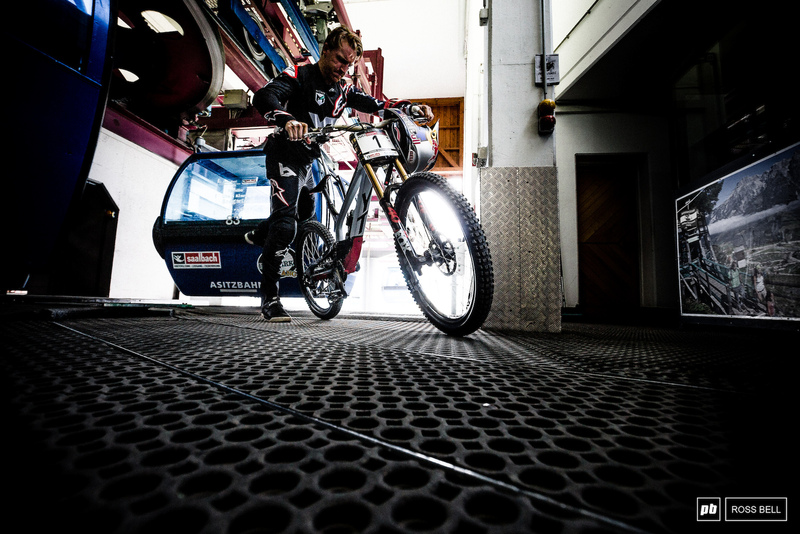 Thibaut Daprela would come second by a scant 0.05 of a second, ensuring that a rivalry is surely brewing between the Aussie and the Frenchman. 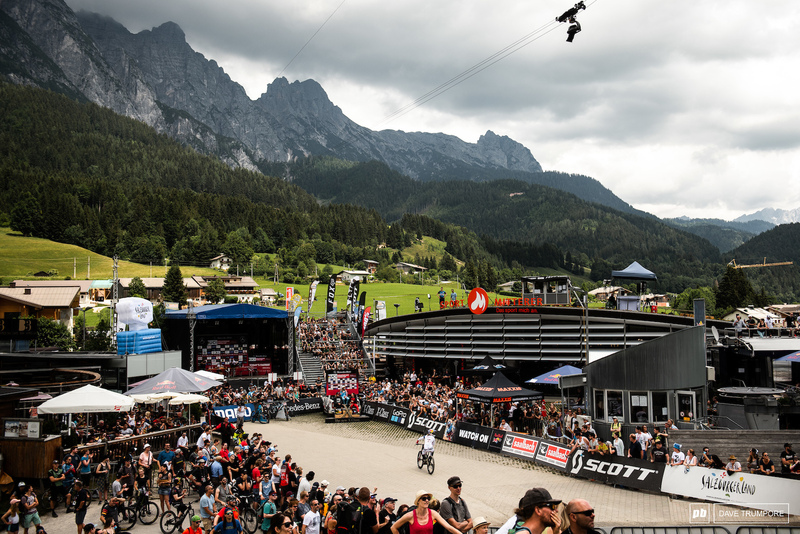 In the elite men's final, there would be drama right from the start, as angry clouds moved in and rain began to fall just as the first riders took to the track. 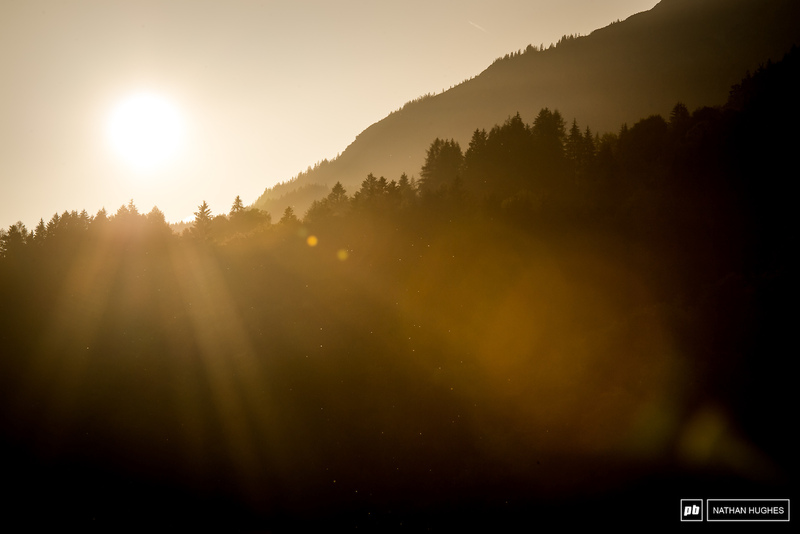 No sooner had riders in the pits began to worry, the sun made a blazing return and once again, a bullet of bad weather was dodged in Leogang. 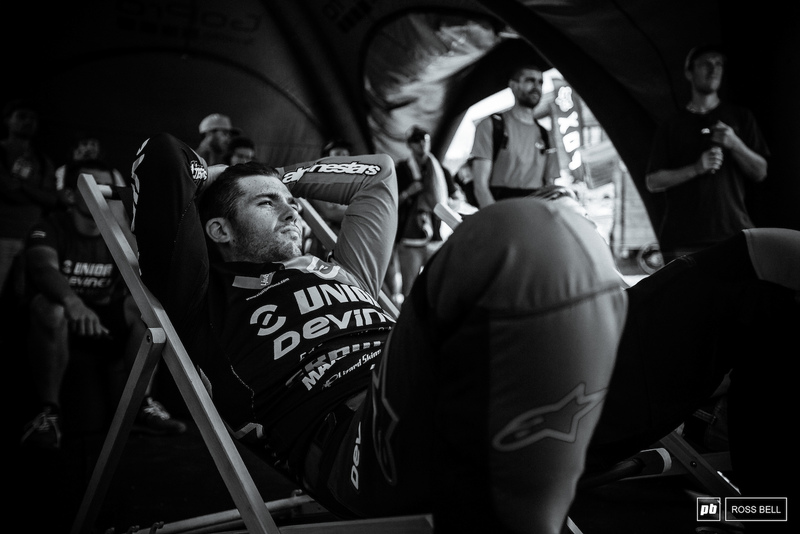 As the race got into the serious end of things, it would be Aaron Gwin who would throw down the gauntlet with an inspirational run. You can't beat someone who never gives up, and despite barely being able to hold on to the bars all week, Aaron dug deep and delivered once again. 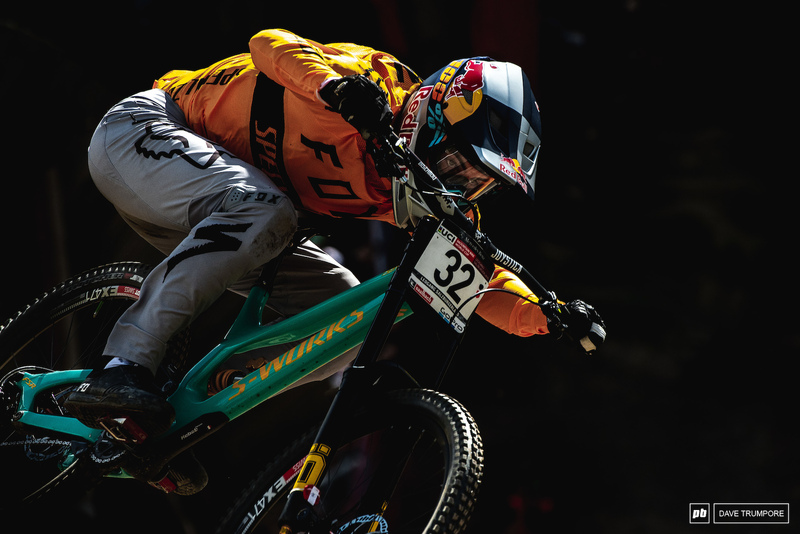 None of the top 10 qualifiers seemed to be able to knock him off and as the race came down to the final three, Gwin was starting to feel that hot seat heating up to the max. It wasn't until Amaury Pierron was on track that things would begin to spice up a bit. He was up at one split then down at another but always in touch, and by the time he reached the final steep chute, it was clear he was on the faster run. 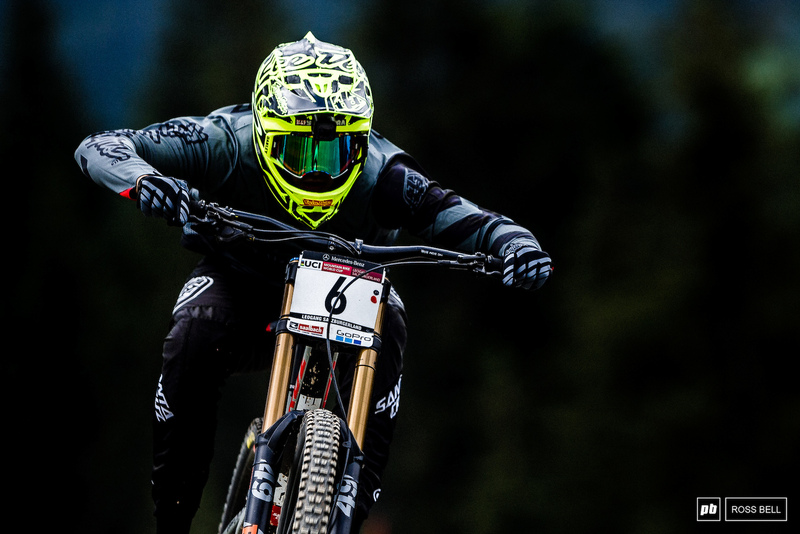 With Gwin demoted and Amaury assuming the finish line throne for the second week in a row, all eyes turned up the hill to Luca Shaw. 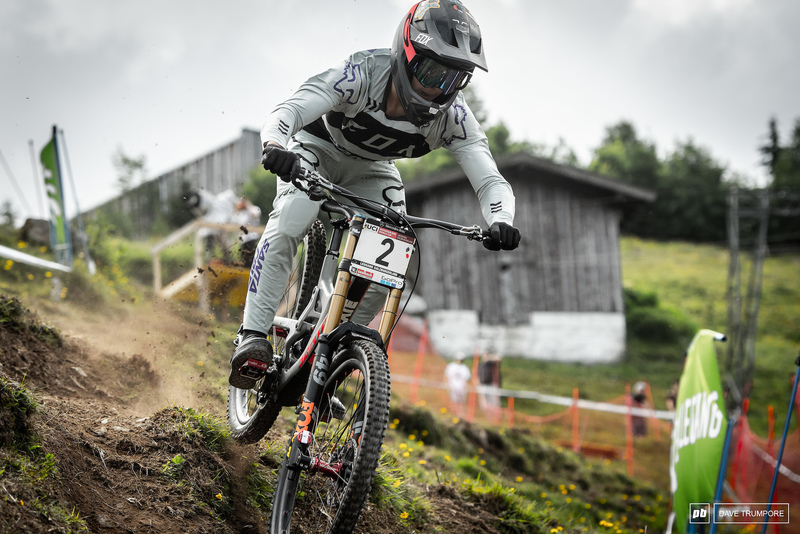 Shaw would be up at the splits, out to prove a point after Fort William, but all would come undone for the young American just 30 seconds from the finish line. 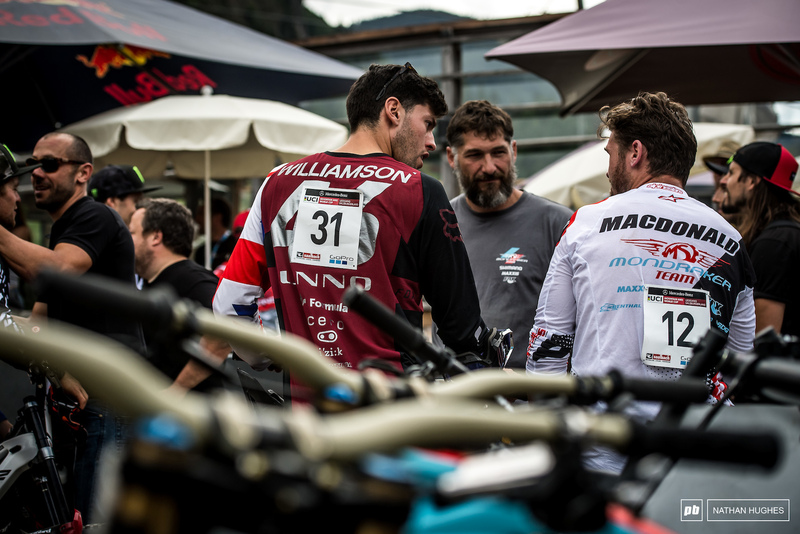 A big crash over the bars would be Luca's race done, gifting Pierron his second race win in as many weekends and the lead in the overall points standings. 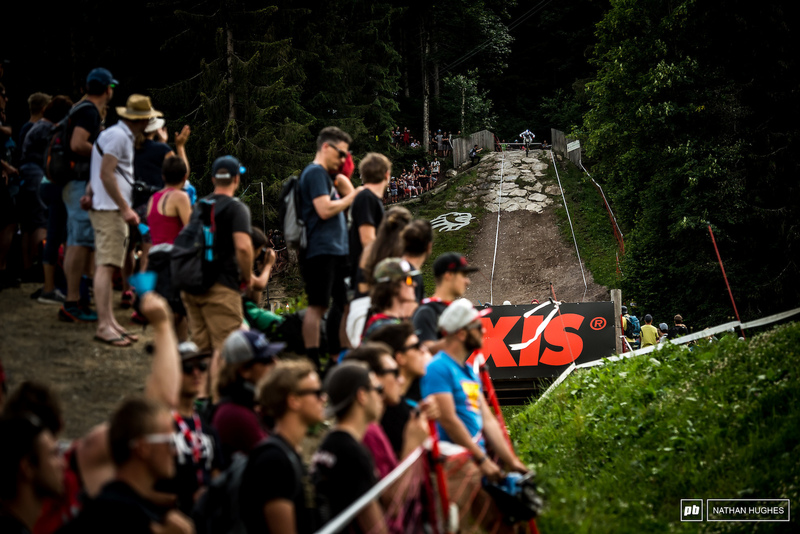 Three World Cups down and we still have no clear-cut favorite in either elite category and, with the rough and rowdy tracks on the horizon later in the summer, things are just going to get more entertaining. 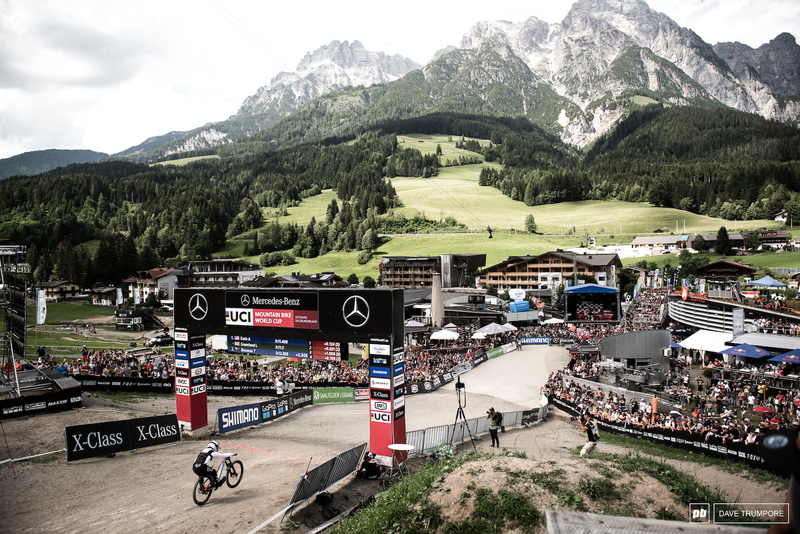 Hopefully, a one month break will be enough time to heal injured bodies and minds before we meet again in Val di Sole. Thibaut Daprela came 2nd to Kye A'hern by the narrowest of margins at just 0.05 seconds. Losing the junior series leader jersey in the process had to sting a little bit too. Kade Edwards muscled his way down the track to finish just off the junior podium in 4th. After missing out at his home race last weekend, Henry Kerr got his moment of glory today with 3rd in the junior men. Kye A'hern has found his stride in the junior men's rank these past two weeks. 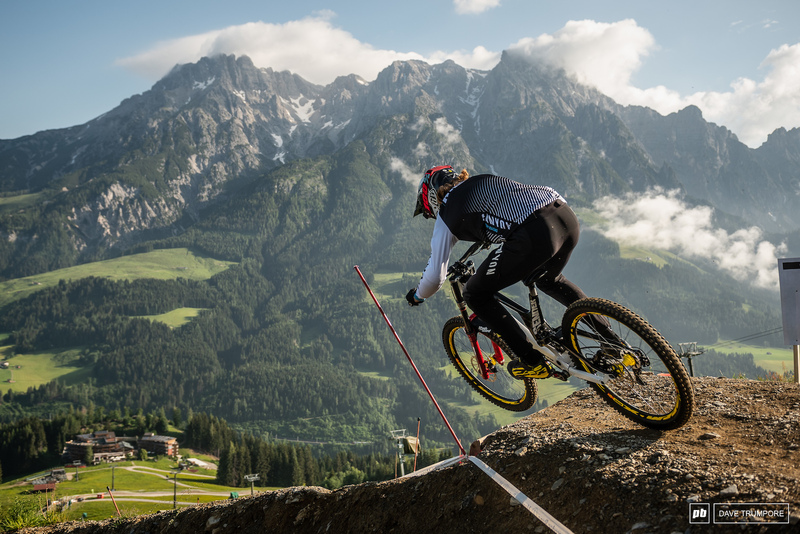 Taking back to back wins in Fort William and Leogang, he leaves Austria in the coveted leader's jersey. Vali Holl crashed before the motorway section and still roared to victory by some 15 seconds. 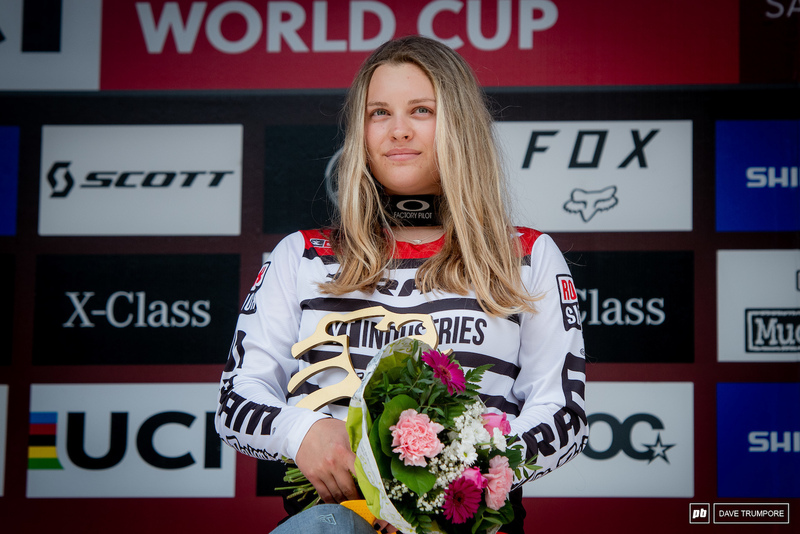 Remember this face as you will surely be seeing junior Vali Holl on the top of World Cup podiums for the next decade. 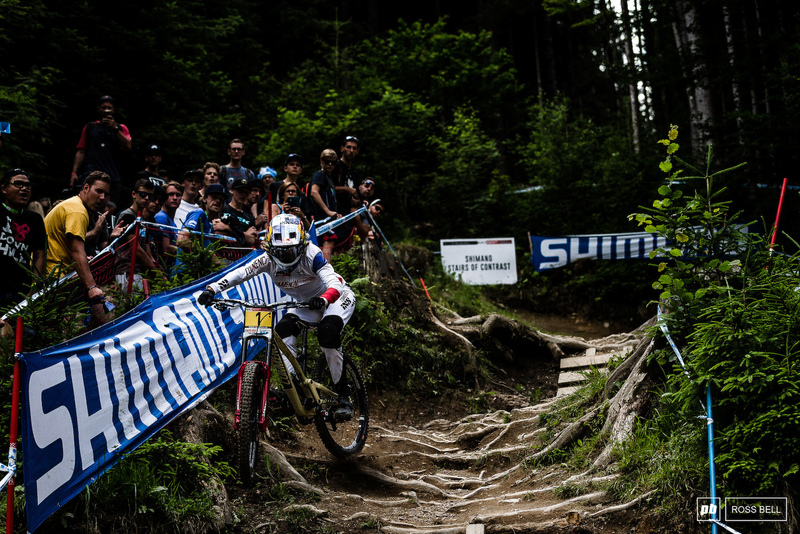 Slovenian shredder, Monica Hrastnik, hit the podium today and could not have been more stoked about it. 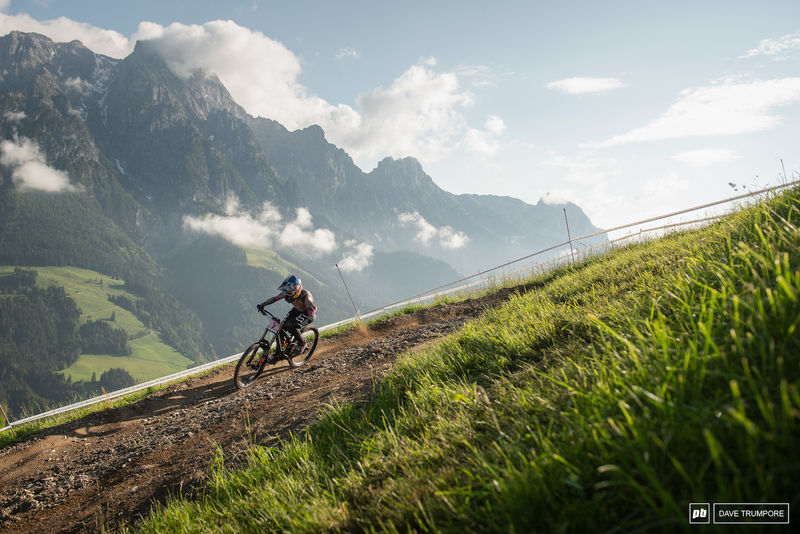 Emilie Siegenthaler got her first 2018 podium with the last step, in 5th. Tracey Hannah has had a tough start to the season, but at just 3.9 seconds from victory, she clearly has the minerals for more in the coming rounds. 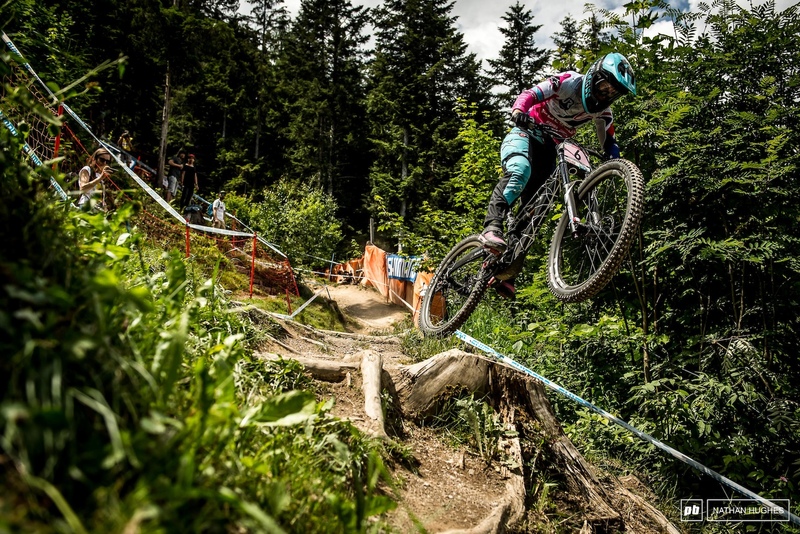 Green through all the splits by a massive margin, Rachel Atherton set the fastest time early in the race and held it all the way to the end. The moment the race was lost for Nicole, half a second up with the finish line in sight she got off line had a hairy ride through the stairs of contrast, holding onto it, but losing all her speed. 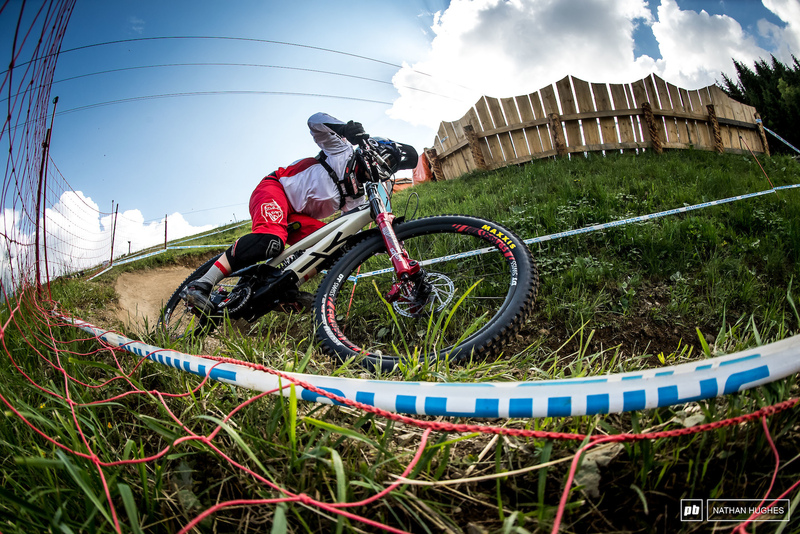 Myriam Nicole looks back at the clock to see her name in red, just 0.63 behind Rachel Atherton. 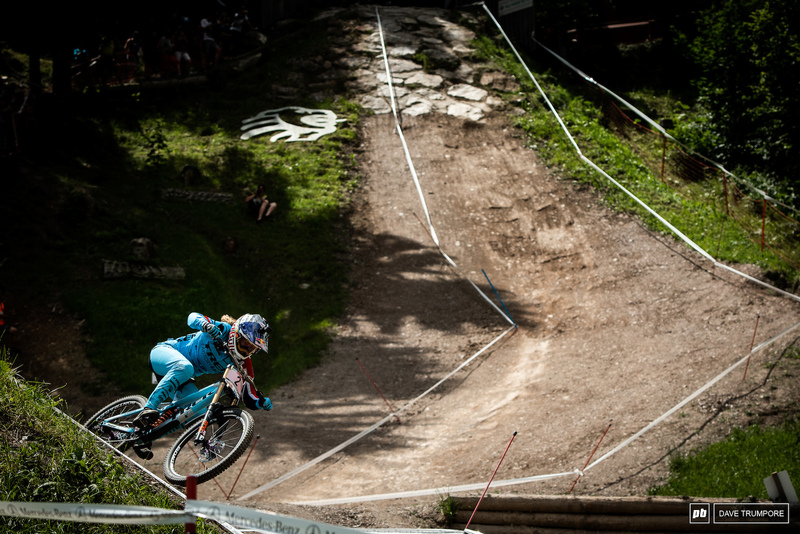 A bobble in the last steep chute likely costing her the win today. Fastest qualifier Tahnee Seagrave had a slight bobble on the motorway that ended up being a much bigger deal once she crossed the line. Race officials ruled she crossed the tape and returned lower down the track, an infraction that would find her disqualified from the race and her 3rd place position awarded to Tracey Hannah. A long time coming. 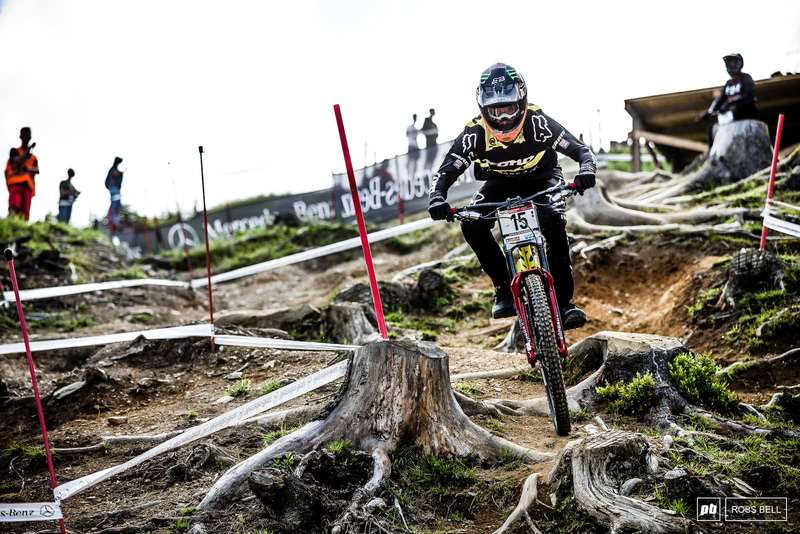 Rachel Atherton gets her revenge after a rough one last week in Fort William and takes the win here in Leogang. 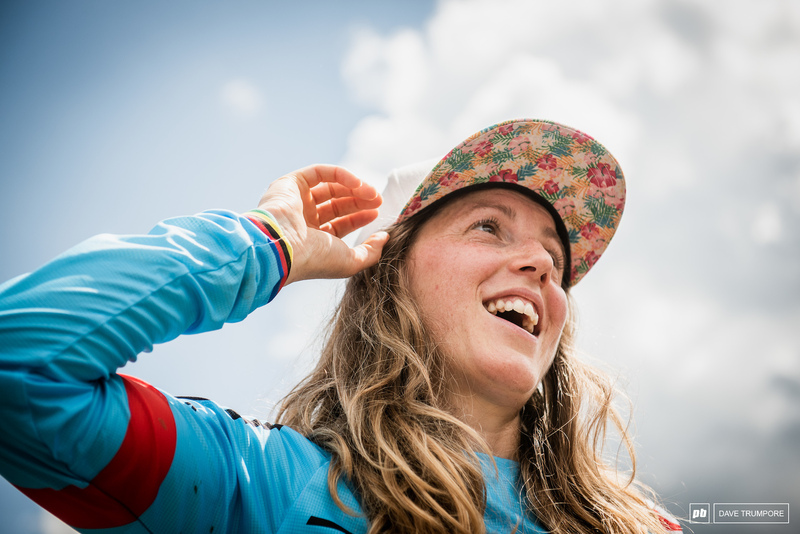 Rachel Atherton over the moon to get that monkey off her back after injuries and bad luck had put an end to her dominant winning streak. 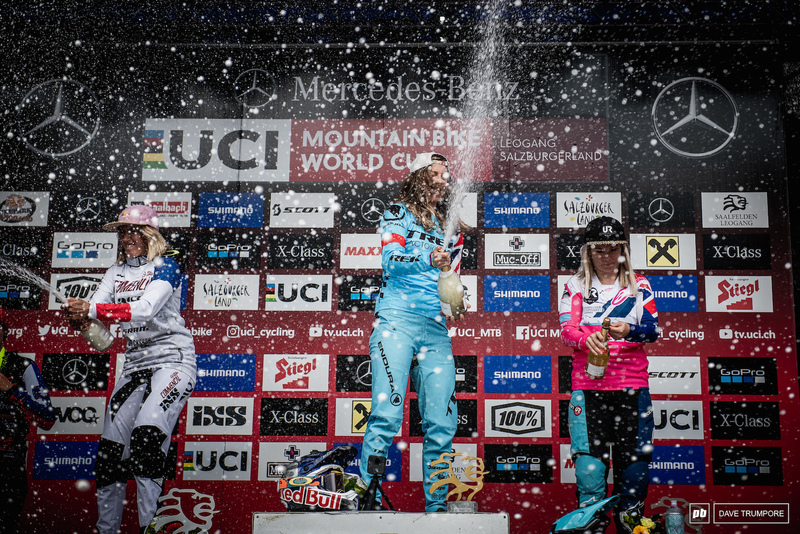 It's been 14 months since we've seen Rachel Atherton popping corks from the top step of the podium. This win was definitely long overdue. Dakotah Norton chilling at the top and watching the live stream of the riders seeded before him. Last weekend's home hero Reece Wilson limbers up at the top. 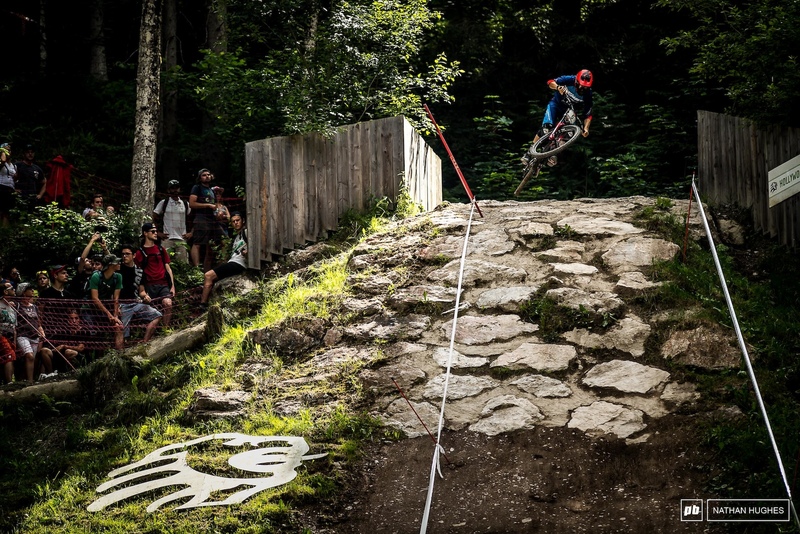 He had another stormer ride, but it all came unraveled at the bottom. First year Elite Finn Iles has the speed, as evidenced by his split times and qualifying runs, but he just can't seem to get things to click when it matters most. Laurie Greenland keeps it high and tight across the big off-camber right out of the start gate. Mike Jones is back. The top 10 is his new home, along with both his teammates, MacDonald and Greenland. Jackson Frew taking in those peaks from a higher vantage point one last time before finals. 20th today for Thomas Estaque. 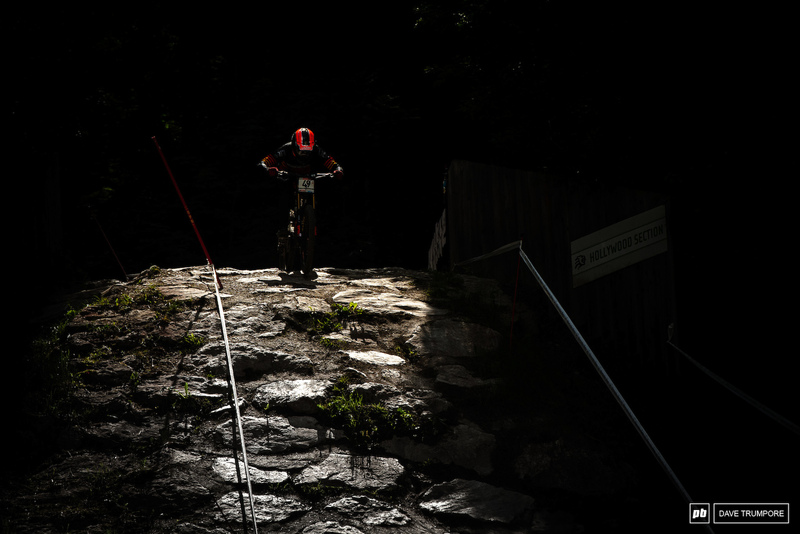 Alex Marin drops out of the dark woods and into the bright sun as he enters the finish arena. 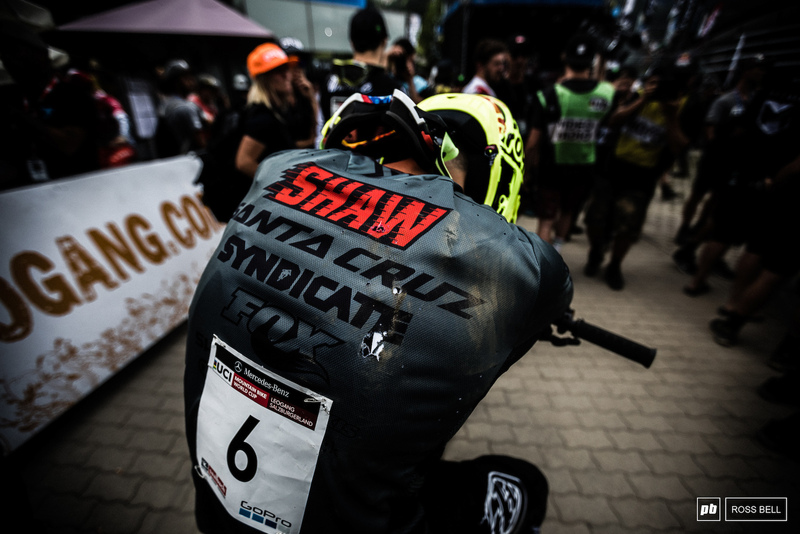 Canadian national champ, Kirk McDowall, crashed off the shark fin before the finish area and it was a hard hit. Thankfully he walked away largely unscathed. 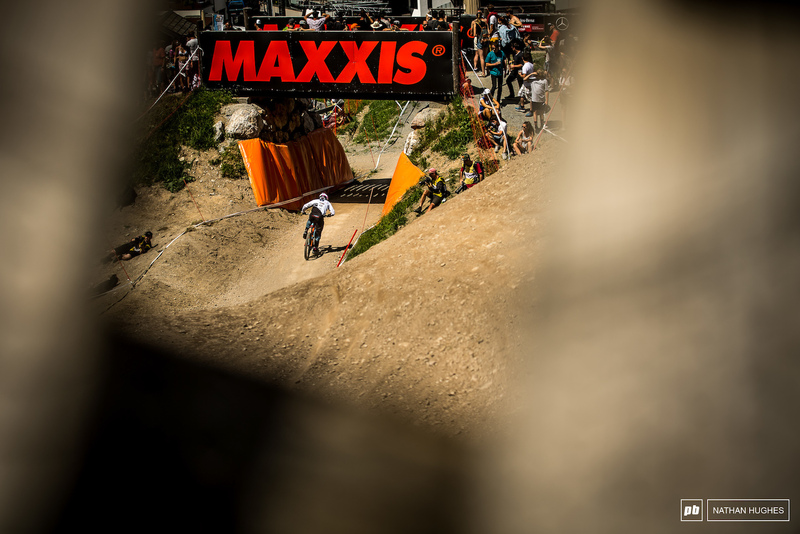 Loic Bruni dropping into the finish area, but mistakes cost him dearly and he was left in 11th place. 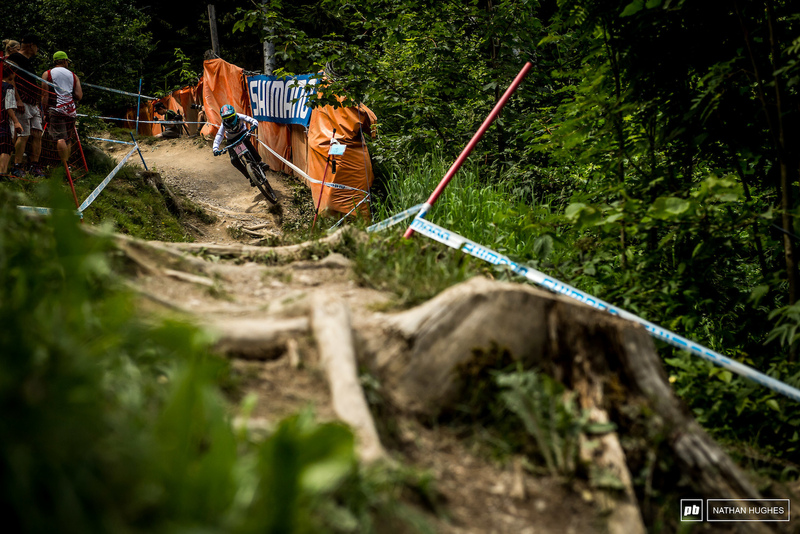 Fearon is a consistent threat to the podium in Leogang, he ended up 7th, less than a second off. He may have been a fraction off the podium, but Norton won't be disappointed with his riding and how his season is shaping up. 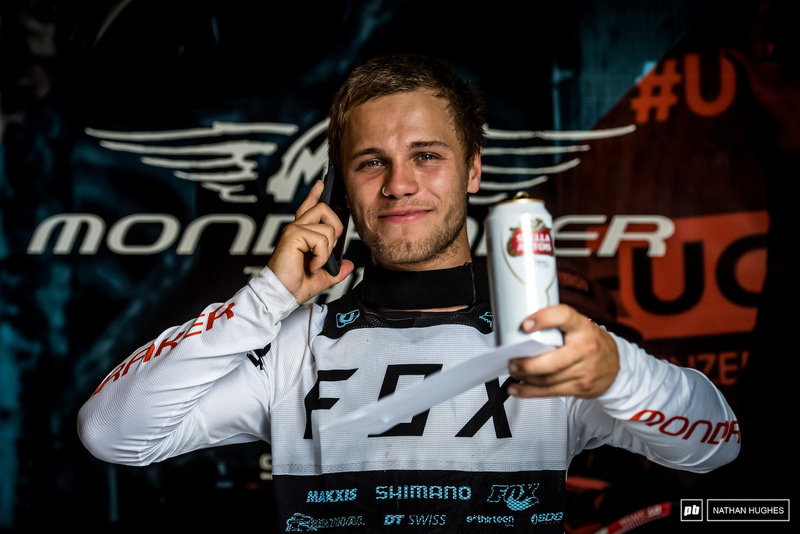 Loris Vergier snuck onto another podium this weekend in Leogang. At the rate he keeps racking up top 5 finishes, it's only a matter of time until we see him climbing to the top step. Brook keeping it low, but far from slow on the savagely fast motorway. Ex-teammates, Brook and Greg after one eventful afternoon in the woods. 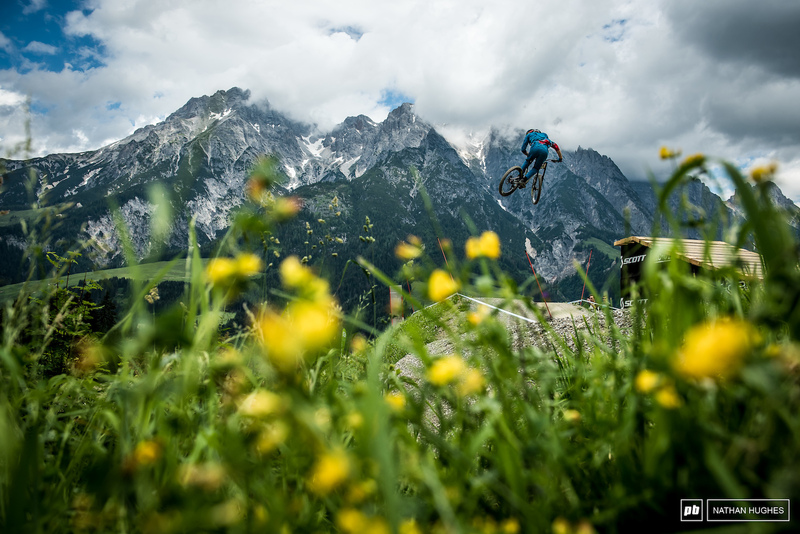 Sam Blenkinsop: don't you just love him? No top 10 today, but aggression and style for miles. 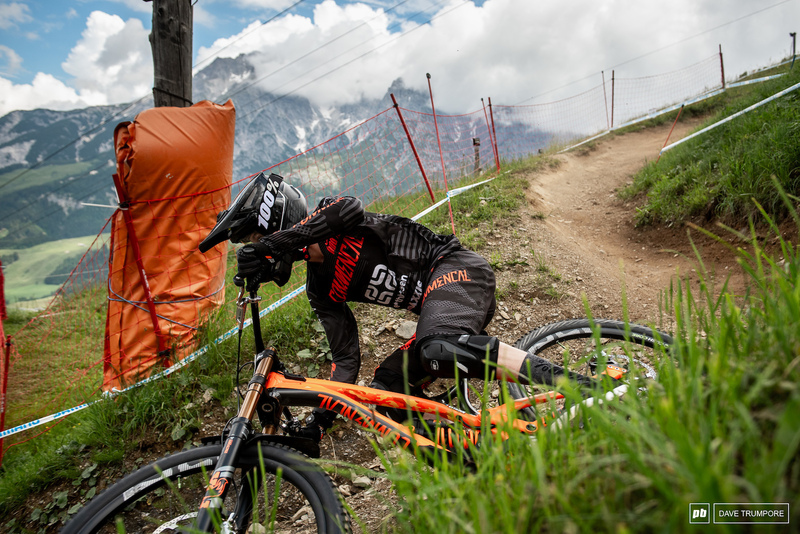 This weekend, for the most part, was a damage limitation exercise for Gwin, but it certainly didn't look like that on race day. Only half a second back with a pretty significant and uncomfortable injury. 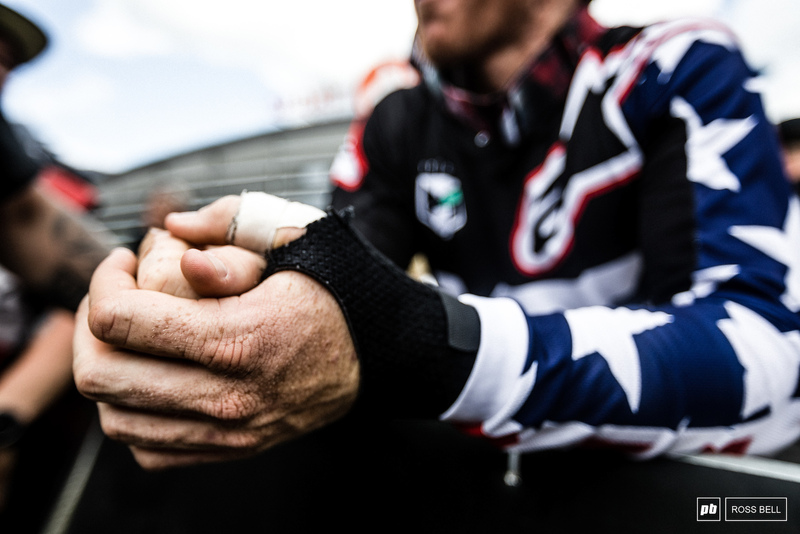 Gwin's strapped and bandaged hands, you wouldn't guess they were giving him much discomfort if you watched his race run. Gwin seemed to turn on the gas a bit more in practice today but was obviously still feeling the effects of his crash in Fort William. But he is tough as nails, and with a never say die attitude, he made it count in the finals. Second place and just a half a second back ensures that he is going to be in the fight for the title right to the end. Laurie Greenland lunges to the line to finish the day 1.1 seconds back in 3rd. In the money and already on the beers, this is the face of a happy chap. Greenland scores his best ever result at a WC. There should be a podium step reserved for Troy Brosnan at each race. #4 on the plate and #4 on the box. 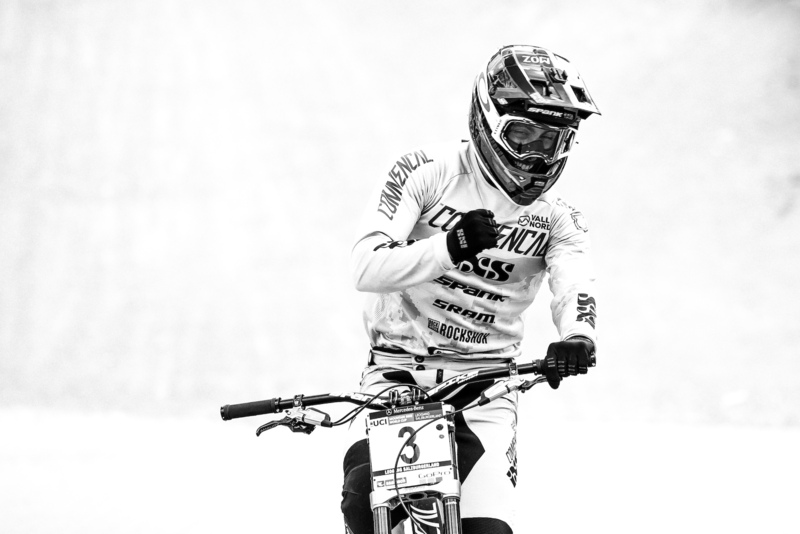 Amaury Pierron has arrived and no doubt he'll be at the sharp end of downhill for years to come. 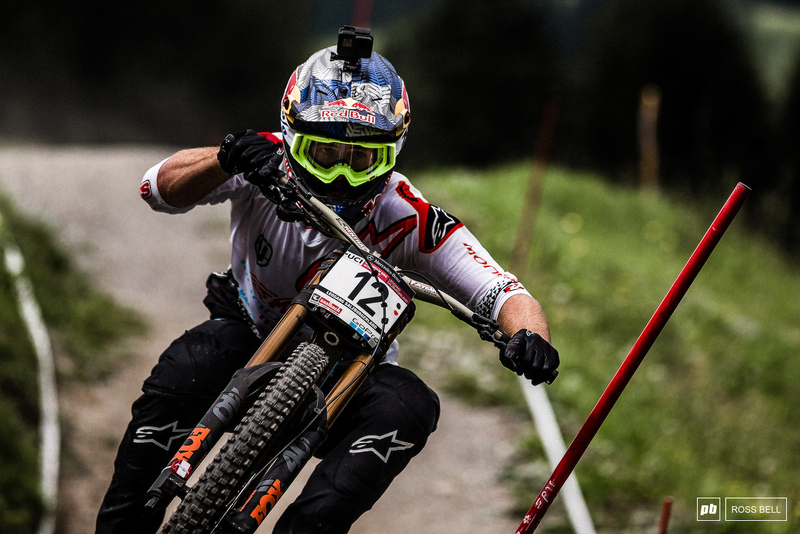 Full gas and maximum effort all the way to the line for Amaury Pierron as he just beat out Aaron Gwin for the win by a scant 0.50 seconds. Amaury Pierron getting that winning feeling for the second time in a week. Back to back wins for the flying Frenchman. Luca deserves so much more than he's got in return for his speed this season. It will all come together for him soon. Gutted. Shaw's pace is searing this season but it just hasn't come together for him, it would've been neck and neck to the line between him and Pierron. 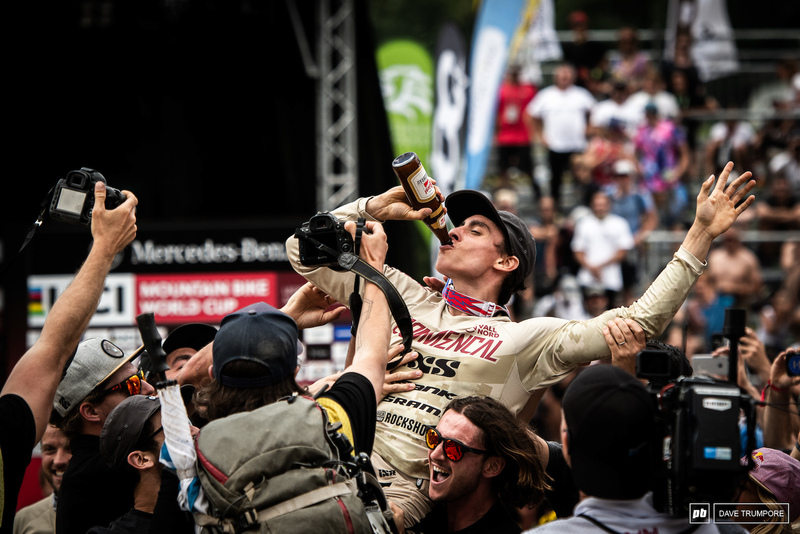 One week later and it's a similar scene in the finish arena as Amaury Pierron celebrates a win on the shoulders of his Commencal teammates. 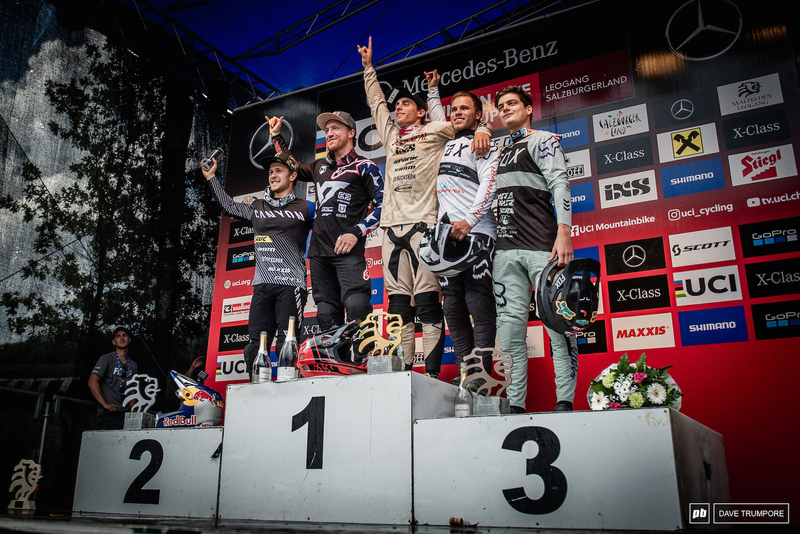 The fastest five men in Leogang with Amaury Pierron on the top step for the second week in a row. Bouquet and bubbly, Pierron hoses the media's lenses down once again. Oh my lord, Vali crashed and was still 15 seconds up?!!!!!!!!!!!!!!! This girl is literally unreal & is going to take the sport by storm. That’s absolutely awesome. 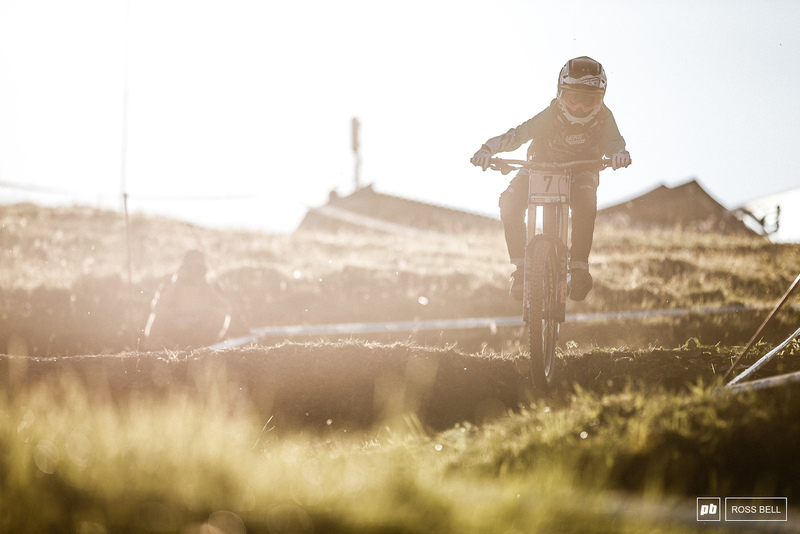 Hopefully some of the other junior riders can absorb some of her speed for competition's sake! She is in beast mode this year. Interested to see her transaction to the elites. Finn, Luca, and Vergier showing how to make the come up happen. Would have still be like 7th in Elite Women, with a crash... WTF! only 2 secs slower than Rach from the 2nd split to the bottom! Yep, hopefully YT will sign her to the Mob when the time comes! @AyJayDoubleyou: She said in an interview that she wants to enjoy her time in the junior category. 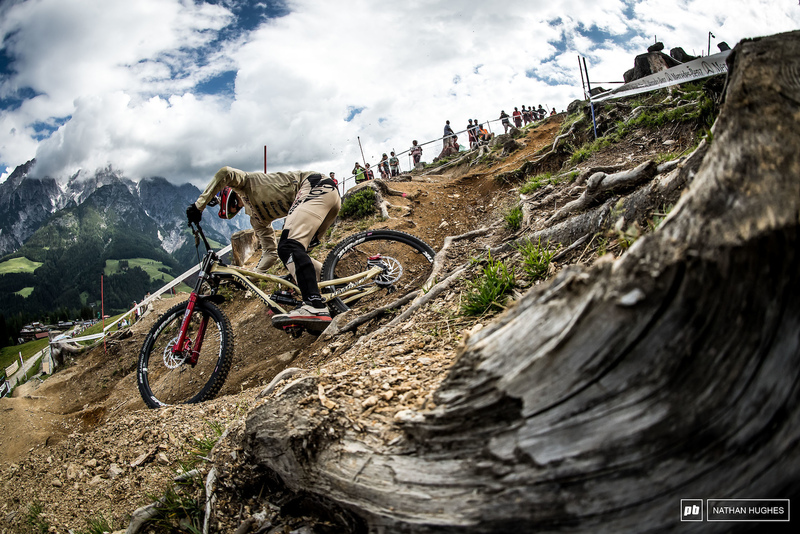 Awesome photo coverage, good job Pinkbike photographers, once again! Yeah, the upcoming victory will be that much sweeter. 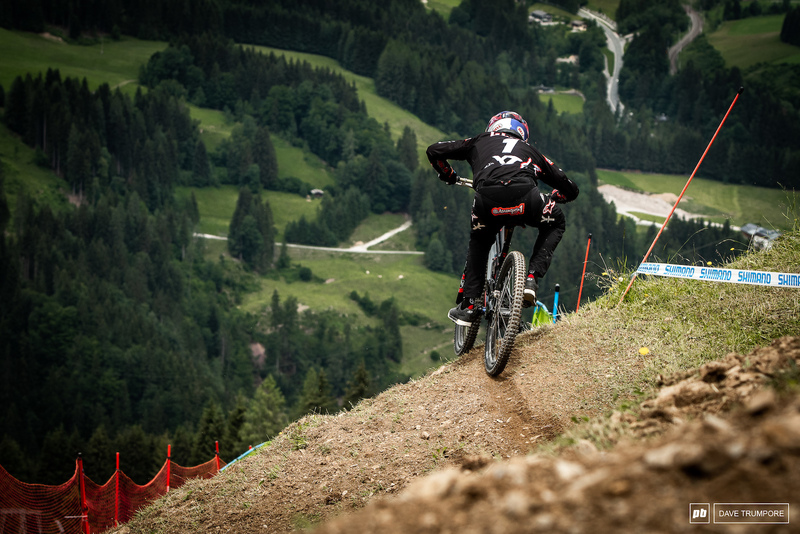 Follows Loic's path is all we can wish for him considering his astonishing speed ! I understand the sentiment but whenever someone says a rider ‘deserves a win’ or a rider is ‘due a win’ I have to disagree. A rider deserves a win when they win. 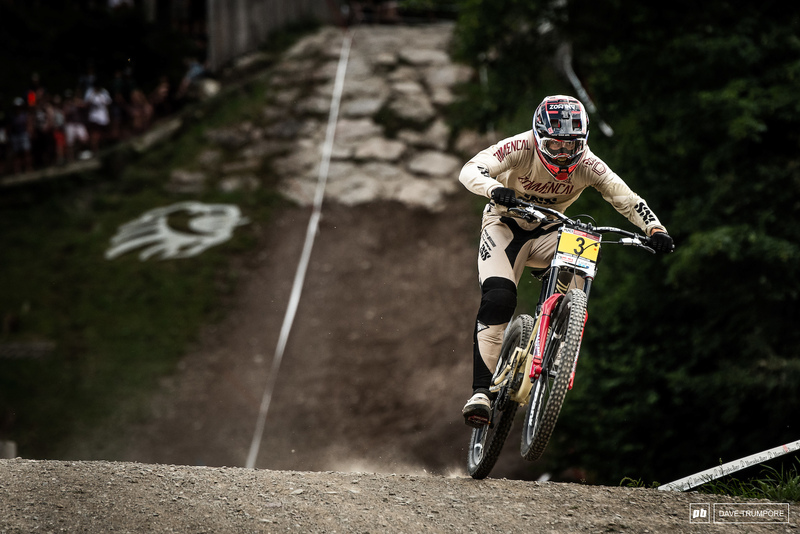 Ya stoked to see him ripping this year. Bruni with the air to footplant, get this guy a slope style bike. Who would have made that honestly? Only a few names come to mind. the flower ceremony happens immediately following the race for TV only and is not the official podium, they are on a super tight timeline for the live TV unfortunately. The official podium presentation with trophies, medals and champagne happens much later in the day. Tahnee knew she would likely be DQ'd when she finished her run as well. Luca was 2nd at the finals, Croatia-opening round-lets not forget that. "but it just hasnt come together for him"
That quote from Pierron is class. Félicitation! Une victoire bien méritée. These photos are absolutely phenomenal! each one of them could easily be photo-of-the-year! 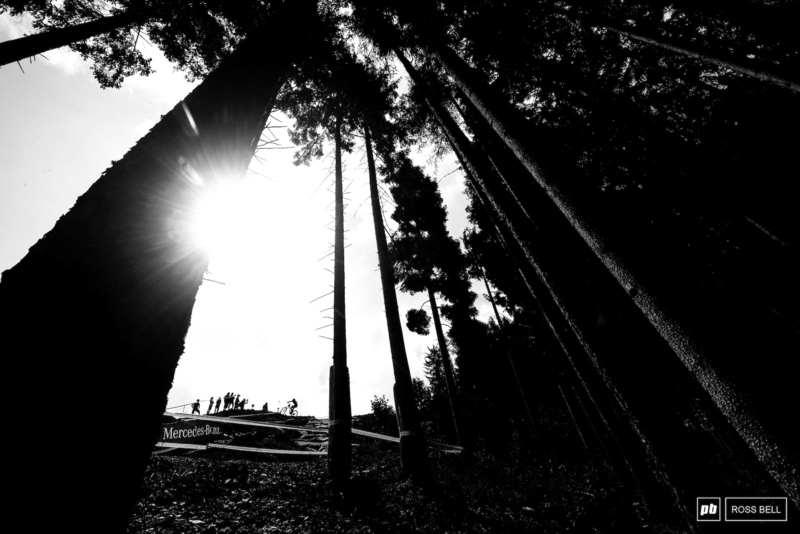 Lets give some props to the amazing photographers on the circuit! 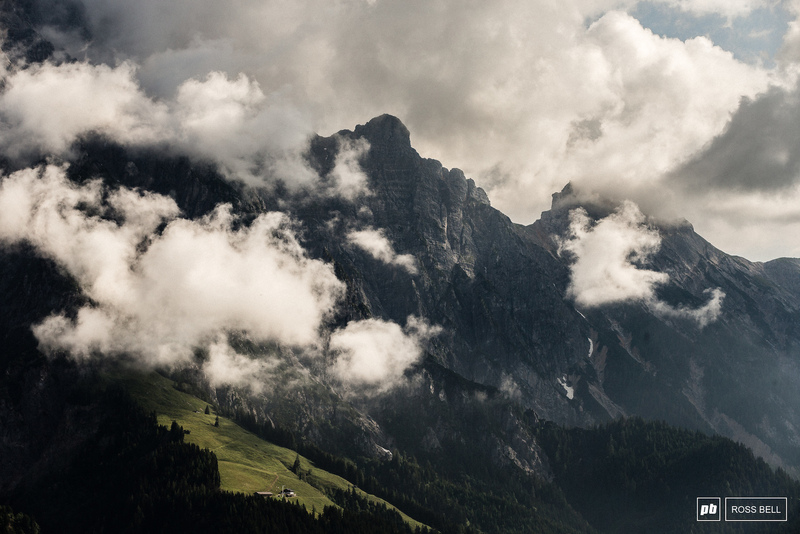 These landscapes are epic. 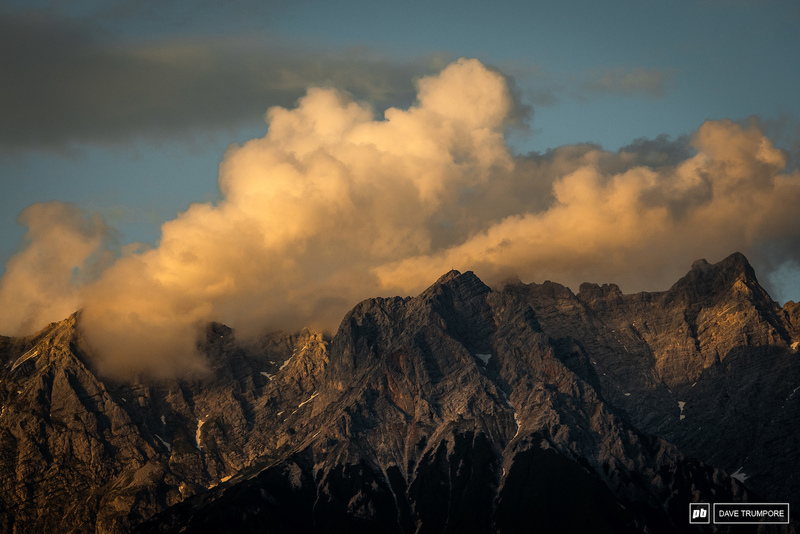 We are lucky to have such a beautiful planet, let's preserve it ! Special kudo to Troy Brosnan, this guy is always smiling and being cool with all the competitors, no matter the result of the race. Can't say the same about every other guys. Si personne ne félicite Amaury pour cette deuxième victoire, alors je serai le premier à le faire avec joie. Forza Amaury ! I was sure he was in for some Shawshank Redemption this weekend. 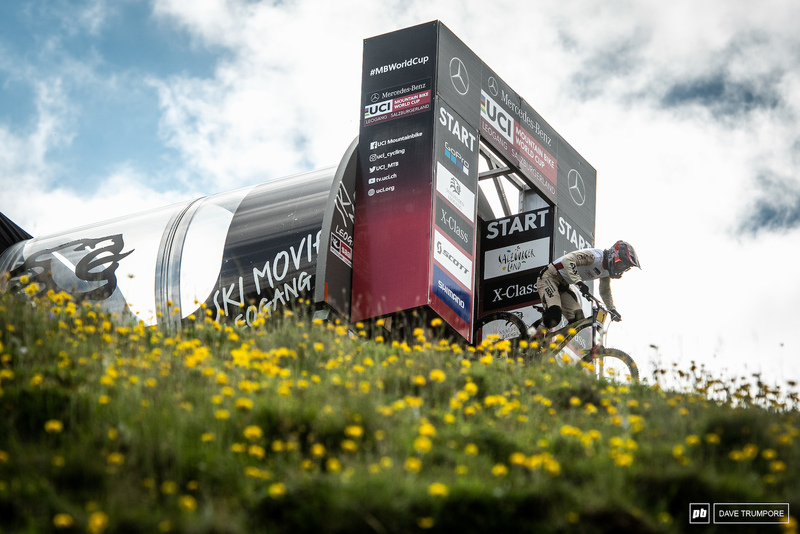 Good Job Pinkbike, stoked for Vali and Gwin! Luca! You’ll get there man. Also spotted them. Would make sense that they will start making them as they keep expanding their program every few months. Vali needs to be part of the yt mob next year. She would make a great addition. Pierron's riding reminds me so much of Vouilloz. So smooth, good flow, looks slow but not so. Gwin is going to Dungey this season. Get the results win the championship. Gwin is like a combo taking the best attributes from Dungy (consistent) and Stewart/Tomac (speed that's on another level). @westeast: Counting Gwin out would be a major mistake - he's got another overall in the tank and is gunning for the Worlds. Seems that black&white new troyleedesign from Semenuk, Fairclought, etc... got inspired (or traced) on the Polygons DH Frame paintjob. I noticed that he was on flat pedals as well (along with Fairclough and Fearon). He replied to a comment on his Instagram saying that there were some issues with the prototype and there wasn't enough time to fix them mid season. I see Bizutch already figured this out on the social media. Apparently he bought the bike with his own money. Different suspension and everything. Still placed 28th. Damn impressive, imo. @nesdnumaj: Ask @bizutch about his stove maintenance skills. They are far beyond his social media/insta skills. @bman33: when you move back, I'm kicking you in the balls for that one. That off camber section was gnarly, more of that please. Laurie Greenland needs to go for the big money in male modeling. Nah, I tried but there is no big money there, just metoo. Laurie seems proficient at riding bicycles though, let see where that takes him. Can Luca Shaw be more unlucky? Two weeks in a row, he must be raging! 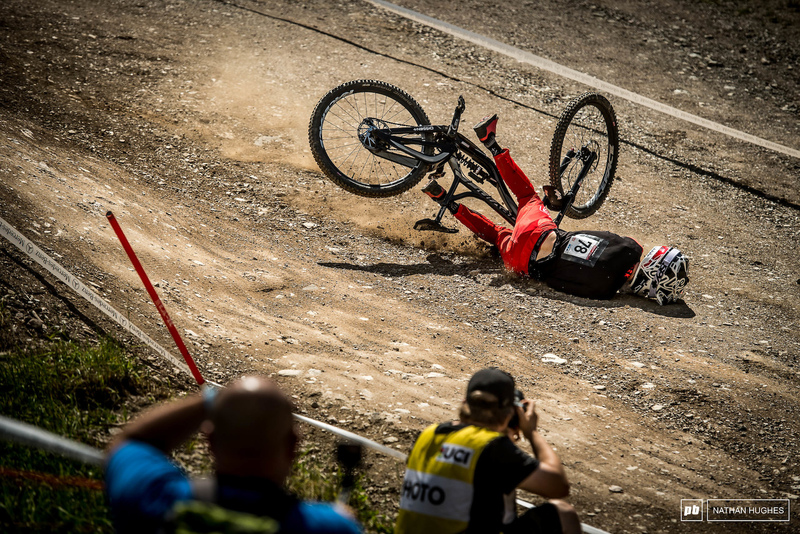 I don't know who coined the phrase " the sharp end of the sport" or the "the sharp end of downhill" but suddenly it's being used an insane amoint.